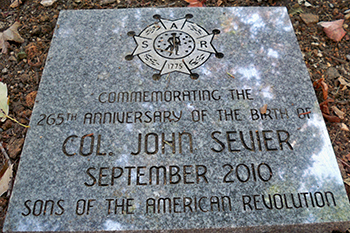 John Sevier was a founding father of the State of Tennessee and the state's first governor in 1796. 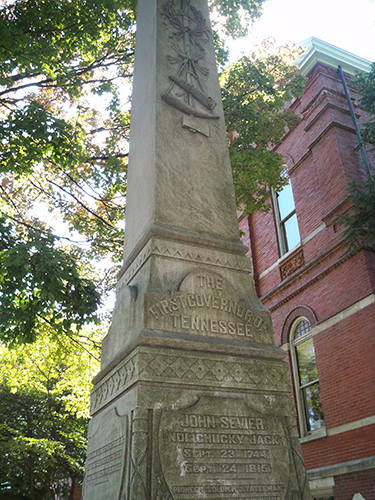 Sevier is buried on the lawn of the Old Knoxville Courthouse at 300 Main Ave Knoxville, TN 37902. This is his grave monument. John Sevier's wife, Bonny Kate, is also buried on the courthouse lawn.